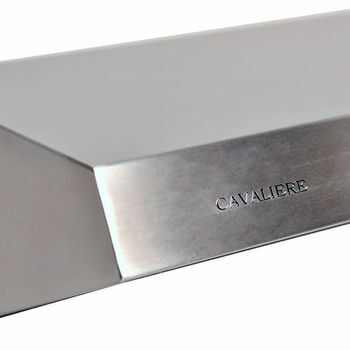 This Cavaliere-Euro UC-200 Under Cabinet Mount Range Hood has 280 CFM airflow and a 128W single motor. 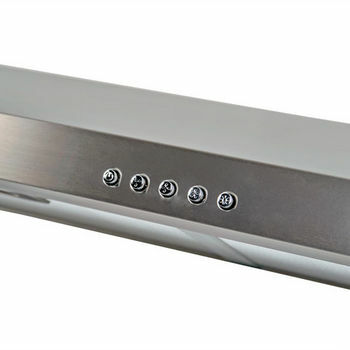 Featuring 3 speeds, the range hood has a noise level of 40 db to 60 db. The Cavalier Model UC200-1830S worked out better for me than I expected. The specs say the outlet of the hood is 6" circular. 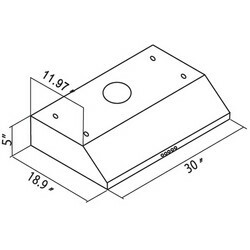 I thought I would have to buy a 6" to 3 1/4" X 10" transition piece. To my surprise, the hood outlet was 3 1/4" X 10". 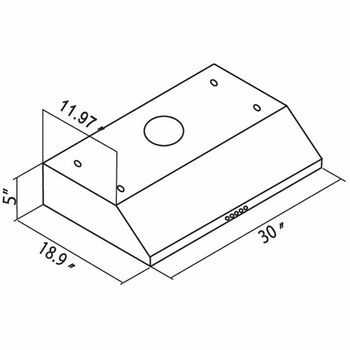 This fit my application perfectly with no sheet metal modifications. Also, the spec has the width as 30". It is really 29 1/2". 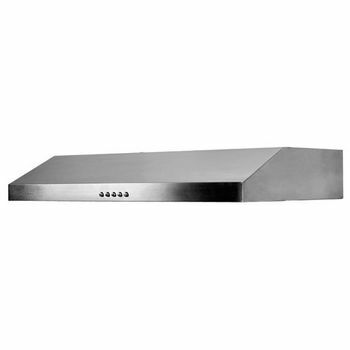 This leaves 1/4" gap between the cabinet and range hood on each side. I cut 2 pieces of 1/4" X 3/4" wood trim to length and attached to each side of the cabinet. This filled the gap perfectly. The Halogen lighting is good. 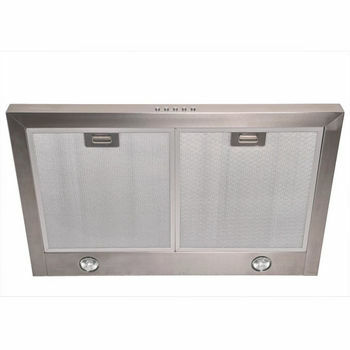 Fan operation is quiet without vibration and good speed control. 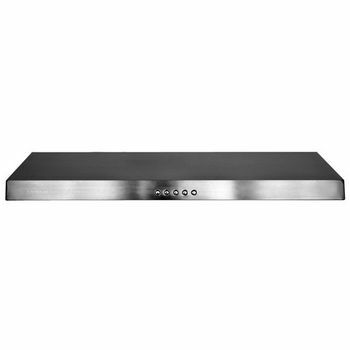 This is a very nice range hood for the money. 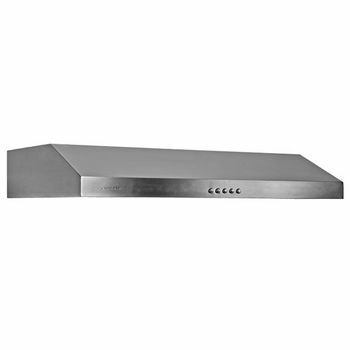 The construction quality is good and it is very quiet compared to other range hoods. The lights are bright and give plenty of light. However, the only negative is that the hood does not measure a true 30". It is only 29-1/2" wide, which gave me a bigger gap between the cabinets than expected. It was virtually impossible to find a range hood small enough and powerful enough to replace my existing range hood. It's sleek, has excellent lighting in the rear where I need it most, has a powerful yet quiet motor--and the price is right!! Couldn't be happier with it. The duct size is 6" round. 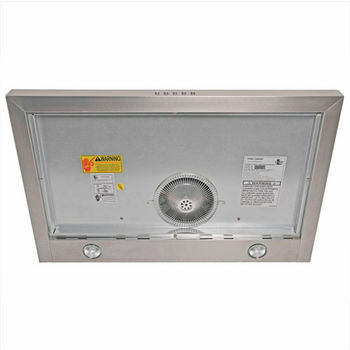 Unfortunately there are no range hoods made anymore with 4" ducting.